If i ald reply the email, what should i do?????? Stop all contact and ignore their messages. Okay, i hav blocked everythg from the scammer. he cant do anythg to me right? i also facing this trouble. We are want you to know that this is not a fraud it not our fault the the limitation of your account and we want you to know that we have credited the money into your account but until you send us the transfer details it will reflect with immediate effect you know that we are serving you right and giving you the best and we want you to know that if we have not credited the money into your account that will be another case for us to send the money to you via western union but the money is already on your account so try to understand us you are save with Credit Europe Bank and we never fraud anyone before so we wait to receive the western union details from you so that we let the money reflect in your account with immediate effect. Thanks for using Credit Europe Bank. We are thanking you for your honesty as we are still on the process of crediting your account. But our data base bounced it back due to the fact that you can only credit 3,000. 00MYR can be credited to your Malaysia Account because the data base could not process 2,100.00MYR due to this issue. You will need to send back the balance before we could release this amount into your account. The previous transaction is suppose to be the last but was not successful because of the round figure error. You are to send back 1000.00MYR back to the agent's account details below. Account Name: KHAIRUNNISA BINTI RAHIM. Time Limit: 30 MInutes (Failure to get it done before this time exceeds might actracts more errors continously. Then he asked me to check the email. The Wire Transfer Order from Credit Europe Bank® Onlin e Banking has been Approved . © Credit Europe Bank© , 1995 -2017. All rights reserved. Please understand that our top most concern is the satisfaction of our customers. We are heartily sorry to inform you that, we are unable to credit your account with (260.00 MYR) , unless (1,000.00 MYR) In othe r for us to credit your account accordingly, we sincerely urge you to transfer the extra (740.00 MYR) to the given name and address and return to us with the Western Union transfer details or you send to the bank given to you by the buyer. We have already deducted an extra (740.00 MYR) from the buyer's Bank account so that it can reach the maximum limitation of your account. Upon the receipt of the money transfer details, we shall credit your account accordingly which will include all cost of money transfer charges via Western Union at Bank cost. You have 100% assurance that once we receive the money transfer details of the (740.00 MYR) from you, your account would be credited once we verify that you have sent the money. Once you send us the information, in few hours time, the total sum of (1,000.00 MYR) and also the Western Union Transfer Fees (Western Union Charges) will be released into your account instantly. Please understand that we are taking this measure to safeguard both parties. We want you to proceed now and get the Money sent via Western Union Money Transfer to the address below and also, You can also refund the money via Bank transfer to Malaysia Bank Account. © 1995 - 2017, Credit Europe Bank . Well is this one of the scammers? Its because he's been using swear on the god name and keep on asking me money? Last edited by Bryon Williams on Wed Mar 29, 2017 9:42 am, edited 1 time in total. Reason: Broke up link. Sell face to face in person at a public place. I was selling something on Mudah. And in the end she asked me to transfer RM583 to a personal baking account although the item itself was rm 17. The best part is when she kept texting me to see if i replied and i told her i am not comfortable with this and i think she's trying to scam me, she said and i quote, "Are you crazy? I am reporting you to the FBI) bear in mind she previously said she was from UK. Kinda regret giving her my banking details and full name. thank god i didn't reply to the email. This confirms that you have received a payment of RM 600.00 from Yeoh Chun Yi via credit Europe Bank Merchandise Payment Service which was accepted..
We want you to understand that here at Credit Europe Bank our top most concern is to serve you better in terms of security. We want you to understand that this is an international transaction and the sum of RM 17.00 cannot be received by you because it was insufficient to be approved by our database and it's the International Banking Policy. The least amount that can be approved starts from RM 600.00 We are sending you this message because we have already deducted an additional RM 583.00 from your buyer's account (Automatically) so that it could reach the limit of transfer. Therefore, we urge you to REFUND the balance of RM 583.00 making an instant transfer to our agent in your country via bank transfer or ATM machine CDM and send us the copy of the transfer confirmation/receipt for verification so that the total sum of RM 600.00 would be unlocked and credited into your account immediately. Once the transfer has been done by you, Please reply us with the proof of transfer confirmation and send to your buyer too. Thank you for using Credit europe Bank! The Credit Europe Bank Team. All rights reserved. 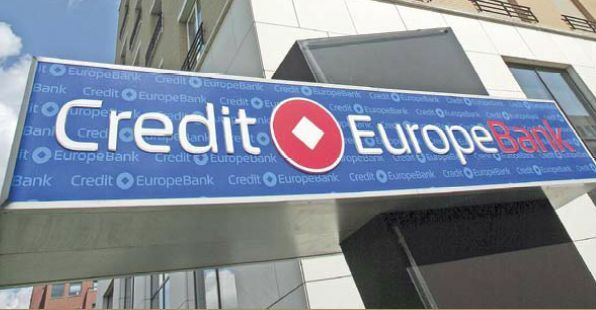 Credit europe Bank(Europe & World Wide) Limited is Authorized and regulated by the Financial Services Authority in the United Kingdom, United States, Europe and World Wide as An Electronic Instant Money Transfer Institution. © 1999 - 2017, Credit Europe Bank . Thank you for posting. If you gave them your banking details, you need to contact your bank as soon as possible and report that your bank account has been compromised. In the future - anytime a buyer is telling you that you will receive money above what your item is selling for is a HUGE red flag. It's always better to sell your items locally. I received a same scam email yesterday. these fraud get my phone number a sell online shop apps. use the fake account what apps deal with me to purchase that item. lucky i did not do transfer money to them. i was knew this is a scam. The Online Transfer Order From ABN AMRO Bank ® Has Been Approved. The Wire Transfer Order from ABN AMRO Bank® Online Banking has been Approved . This is to inform you that C.O.T Code is the cost of transferring funds which was overcharged from the account platform and the cost of transferring the funds with a limitation . Now get the code of transaction across to the bank. MYR 700.00 has been successfully removed from NADIA MAISARAH ABU bank account for the purchase of your item (SPEAKER). The money is now ready to be transferred into your bank account. You have 100% assurance that once we receive the money transfer details of the (585.00MYR) from you, your account would be credited once we verify that you have sent the money. Once you send us the information, in few hours time, the total sum of (700.00MYR) and also the Transfer Fees will be released into your account instantly. Please understand that we are taking this measure to safeguard both parties. We want you to proceed now and get the Money sent via local bank transfer to a bank account in Malaysia. Note : The payment will be reflecting on your bank account in less than few hours which means you must refund the overcharge amount back within the next few hours unless we will keep holding the payment from reflecting on your account and we have very limited time to do this. © ABN AMRO Bank © , 1999 -2017. All rights reserved. NATIONAL BANK (R) ONLINE MONEY (TRANSFER ** (WAITING FOR SHIPPING DETAILS"
Item Number Item Title Quantity Price"
(includes any seller packing fees)"
which has been APPROVED. The transfer has been successfully processed and approved, but before we can forward the funds to your account, we will have to verify the shipment of the item to your buyer first and once this is done, we will immediately forward the funds to your account and you Be able to collect your money at your bank. So you can make the items shipping to your buyer and send us the tracking number of the shipping and the scanned delivery courier receipt which was used for shipping as well as for shipping verification and once we get this we will ship the Funds into your bank account immediately. We look forward to the tracking number of you shipping and also assure you that we immediately have the tracking number of shipping your account will be activated. We want you to know that you have just introduced this policy to prevent all our valued customers from Internet fraud we hope you understand better. Transfer Current Percentage Done: 90%"
"Transfer On Pending... Shipping Details Is Needed....."
In order to prevent fraud this transaction is fully monitored by the Interpol."